The dental industry Innovation award will once again be handed out at this month’s Finnish Dental Congress and Exhibition in Helsinki, Finland. The new Planmeca CALM™ algorithm has received the Innovation 2017 honorary mention. As the world has shifted to a more software-centred approach, dentistry has followed suit – leading to expanded possibilities, increased efficiency and improved levels of care. 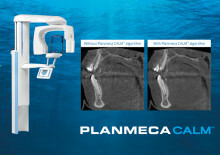 ​Going digital with Planmeca will provide you with unmatched freedom and flexibility throughout the orthodontic workflow. 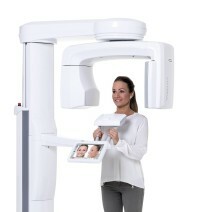 After collecting the needed imaging data, you can either order the needed appliances from an orthodontic solution provider or continue treatment planning in-house with the appropriate software. The choice is yours – our workflow is completely open!